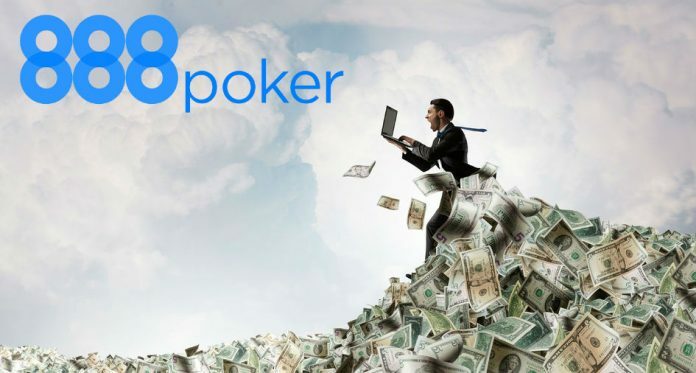 PocketFivers turned out in force on 888poker in the month of August, taking down tournaments and padding their bankrolls. Some of the top earners of the month are also some of the biggest names in online poker. This includes former top-10 ranked Arsenii ‘josef_shvejk’ Karmatskiy. Russia’s ‘josef_shevik’ earned over $37,000 on the site in August, thanks in large part to a victory in the August 19 edition of the $80,000 Whale where he took home the top prize of $26,000. Right behind him on the list of top moneymakers is the 888poker Ambassador himself, Chris ‘moorman1’ Moorman. Moorman had a number of smaller scores, however, the bulk of his nearly $30,000 in the month also came from the Whale. The week before ‘josef-shevjk’ won the Whale, Moorman earned the gold in the same tournament. And, like the Russian, Moorman earned $26,000 for his efforts. Matveychuk ‘MatveichukR’ Roman rounds out the top three of those that took home the most money last month. The Russian scored a second place finish in the August 12 edition of the $100,000 Sunday Mega Deep for $18,000 of his nearly $21,000 in cashes. When it comes to the number of times actually getting into the money nobody did it more than ‘jickydzikipl’. The UK grinder, who plays almost exclusively on 888poker, reached the cash a staggering 111 times in August. Putting that in perspective,‘DoperHarley’ who was the top casher in July, made the money 73 times. Though ‘jickydzikipl’ is a low stakes grinder, he is rapidly approaching $200,000 in lifetime earnings, with over $185,000 of that being won on 888poker. Not that far behind ‘jickydzikipl’ is Brazil’s Victor ’vsmithc413’ Cavalcanti with 105 cashes. Like his UK counterpart, Cavalcanti grinds out the lower buy-in tournaments. His runner-up finish in the $5.50 BIG Fish for $1,250 was one of the largest in his young career and helped push him over $200,000 in lifetime earnings. Another Brazilian, Flavio ‘LendaFlavio’ Costa picked up 87 cashes. Of those, three were outright wins, helping propel him to over $100,000 in lifetime earnings. On the topic of outright wins, ‘zapara678’ leads the pack by earning eight gold medals in the month. Two of his victories appeared on the same day in back-to-back fashion. The Ukranian first took down the August 20 edition of the $1,500 R&A for $555 while at the same time he was wrapping up a victory in the $3,000 Early Lightning Six Max for another $731. When you book 105 cashes, some of those hopefully are winners. So it’s no surprise that Victor ’vsmithc413’ Cavalcanti is also near the top of the winner’s list. Of those 105, Cavalcanti took down seven tournaments. That’s tied with ‘hudfoter’ who also won seven times. For ‘hudfoter’ his continued presence on the top winner’s list has helped him to a career-high ranking.